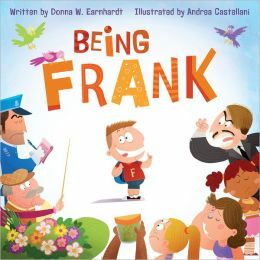 In time, Frank learns that being overly “frank” with his comments tends to annoy his family and friends, which makes Frank unhappy. He decides to visit his Grandpa Ernest, who has a history of frankness himself. With his grandfather’s wisdom, Frank then realizes that the truth is best when it is presented in a more positive manner and is approached more delicately. I really liked this book📘. But I want to read it again online.